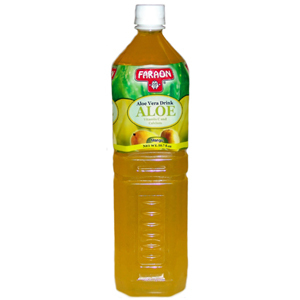 Faraon Aloe Mango in 1.5 liter bottle, brings you the best of both worlds. Aloe, mango , honey, bits of aloe gel. All of this ads up to a great product that you will enjoy.